with much love and appreciation on your birthday. You know how much we appreciate you, always. "The Accused Economist," D. Mark Davis, Left Behind and Loving It, 2016. Sermon Seeds, Kathryn M. Matthews, Prayerful Living, 2016. The Adventurous Lectionary, Bruce Epperly, Living a Holy Adventure, 2013. Jesus Now, Proper (Ordinary) 25C. Lectionary, study and worship resources from Faith Futures Jesus Then & Now. "Wealth and Relationships," David Lose, in the Meantime, 2016. "Being Faithful in Much," Karoline Lewis, Dear Working Preacher, 2016. "Calling All Prayerful Peacemakers," Sharron R. Blezard, Stewardship of Life, 2016. "For God's Sake," commentary and discussion, RevGalBlogPals, 2016. Living by the Word, Peter S. Hawkins, The Christian Century, 2016. "Serving God," John W. Martens, America: The National Catholic Reporter, 2016. "The Risks That Make You Rich," Nancy Rockwell, The Bite in the Apple, 2016. "One Purpose, One Master," David Sellery, 2016. "The Politics of Dishonest Wealth," Alastair Roberts, Political Theology Today, 2016. "Learning from Our Own Dishonesty," Melissa Bane Sevier, 2016. "Money and Friends," Stephen Fowl, Ekklesia Project, 2016. "Yin Yoga and the Power of Parable," Janet H. Hunt, Dancing with the Word, 2016. "A Shrewd Faith?" Bob Cornwall, Ponderings on a Faith Journey, 2016. "Shared Civic Values," Dan Clendenin, Journey with Jesus, 2016. "Uber and Amos: Economic Justice in the Gig Economy," Keith Anderson, ON Scripture, 2016. "Con-man for the Kingdom," Suzanne Guthrie, Soulwork toward Sunday: At the Edge of the Enclosure, 2016. Exegesis, Sr. Betty Jane Lillie, Mount St Mary's Seminary, 2016. Serving Two Masters, Glenn Monson, Law & Gospel Everywhere, 2016. "Shrewd Christians," Verity A. Jones, ON Scripture, Odyssey Networks, 2013. 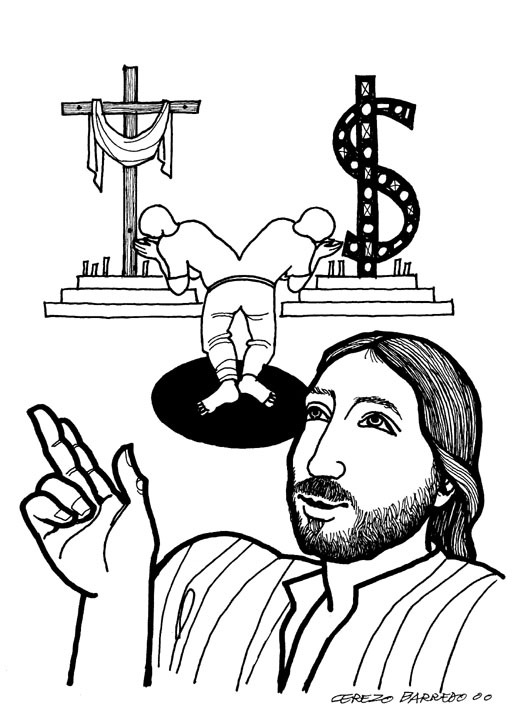 "Money, Relationships, and Jesus' Most Confusing Parable," David Lose, Working Preacher, 2013. 2010. "The Dishonest Steward," Alyce M. McKenzie, Edgy Exegesis, 2013. 2010. "'Horror Grips Me,' Remembering Congo," Pentecost 18, Daniel B. Clendenin, The Journey with Jesus: Notes to Myself, Journey with Jesus Foundation, 2013. 2010. 2007. Faithfulness is Everything, John Jewell, Lectionary Tales, 2013. "What Are We To Make of the Dishonest Manager?" Janet Hunt, Dancing with the Word, 2013. "Squandering Right," Rick Morley, 2013. "Con-man for the Kingdom," Suzanne Guthrie, Soulwork toward Sunday: At the Edge of the Enclosure, 2013. "Jesus the Reprobate?" Christopher Burkett, PreacherRhetorica, 2013. "Fully Faithful," Sharron R. Blezard, Stewardship of Life, 2013. "Hard Won Wisdom," Steve Goodier, Life Support System, 2013. Jesus Makes a Joke, Peter Lockhart, A Different Heresy, 2013. "Dishonest Wealth," Steve Pankey, Draughting Theology, 2013. "What Else Is Money For?" Erin Dufault-Hunter, The Ekklesia Project, 2013. "Starting Over," Claire Keene, Upper Room Books, 2013. "Faith, Hope, Love, Shrewd," Rick Fry, 2013. "A Flawed, Curious, Hopefuly, Forgiving Human," Larry Patten, 2013. "Rich and Poor," Thomas Beam, 2013. "Serving One Master," David Sellery, 2013. "A Tuppence for God's Realm," Bob Cornwall, Ponderings on a Faith Journey, 2013. "Redeeming Shrewdness," Doug Lee, The Ekklesia Project, 2010. "Friends in Low Places," Debra Dean Murphy, Intersections, 2010. Dylan's Lectionary Blog, Proper 20C, 2007. Biblical Scholar Sarah Dylan Breuer looks at readings for the coming Sunday in the lectionary of the Episcopal Church. 2004. “Managing the Jesus Way,” by Rachel May. A Sermon for Every Sunday. Video sermons from America’s best preachers for every Sunday of the Liturgical Year. A Sermon for Pentecost 18, Robert Warren, 2016. "The Love of a Landlord," Sil Galvan, 2016. "Jesus' Weirdest Parable?" Rev. Ian Punnett, Day 1, 2013. "The Dishonest Manager in all of us," the Rev. Whitney Rice, Sermons that Work, Episcopal Digital Network, 2013. 18 Pentecostés, Propio 20(C) – 2013 por el Rvdo. Enrique Cadena, Sermones que Iluminan. "Jesus the Rogue Rabbi," the Rev. Thomas Brackett, Day 1, 2010. "Let It All Out," Faith Element, 2016. Podcast. "Justice by Unjust Means," Faith Element, 2013. "Prayerful Living," Weekly Seeds, UCC, 2016. Bible Study, Proper 20C, 2013, Susan Butterworth, Episcopal Divinity School, Sermons that Work, Episcopal Digital Network. Estudio de la Biblia. 18 Pentecostés, Propio 20 (C) por Susan Butterworth, Sermones que Iluminan, 2013. Mustard Seeds, "Values/ Praying for Peace/Lament," Proper 20 / Ordinary 25 / Pentecost 18, 2013. A lectionary-based ideas resource for leaders of contemporary worship, Ann Scull, Gippsland, Australia. LCA Worship Planning Page, Pentecost +18, "Everything lay-readers need to prepare worship." Worship Resources, 18th after Pentecost, Rev. Mindi, Rev-o-lution, 2016. Lectionary Liturgies, Ordinary 25, Thom M. Shuman, Presbyterian Church (U.S.A.). Worship and Liturgy Resources, Pentecost 16, by Rev David Beswick, Uniting Church in Australia. Resources for Jubilee Sunday/Stand Up Weekend. Proper 20C, prayers and litanies, Katherine Hawker, Outside the Box. Proper 20C, A Lament, MomPriest, RevGalBlogPals, 2010. The Timeless Psalms: Psalm 79:1-9, Joan Stott, prayers and meditations based on lectionary Psalms, 2016. HermanoLeón Clipart, Ordinary 25. Free clipart, backgrounds, slides, etc. Clip Art, Ordinary 25C, Fr. Richard Lonsdale, Resources for Catholic Educators. Clip Art Images: Luke 16:1-13, Luke 16:1-13 #2, Misioneros Del Sagrado Corazón en el Perú. Ordinary 25 at Cerezo Barredo's weekly gospel illustrations. Follows Latin American Roman Catholic gospel reading. Liberation emphasis. The Parable of the Dishonest Manager, audio telling, story in episodes, graphic, audio and written commentaries. Go Tell Communications, Biblical Storytelling for the Global Village, 2010. "Uncomfortable Messiness," faithelement, various mulitimedia approaches to this week's scripture texts. Riches in Heaven, InclusiveChrist, 2013. Psalm 113, set to Arlington or Azmon (CM), Psalm 79:1-9 set to Passion Chorale (76 76 D), by Dale A. Schoening, Metrical Psalms. Hymn and Song Suggestions, Proper 20C, 2013, annotated suggestions from Natalie Sims, Singing from the Lectionary. Hymn and Song Suggestions, Proper 20C, 2010, annotated suggestions from Natalie Sims, Singing from the Lectionary. Shepherd Sounds, Pentecost 17C. Background information for hymns and choral music following the lectionary from the Episcopal Church of the Good Shepherd, Austin, Texas, by Eric Mellenbruch and David Zersen. Worship Resource Manual, The Moravian Church, Southern Province. Worksheets for planning music in worship: hymns, anthems, solos, organ repertoire suggestions for RCL texts. Direct link to Proper 20. The Billabong, Sunday 25, by Rev Jeff Shrowder, Uniting Church in Australia: Hymn suggestions and paraphrases of lectionary Psalms. Choral Anthem Project, Ordinary 25C, National Association of Pastoral Musicians. Sing for Joy, Lectionary 25, 2007. Choral reflections on this week's lectionary readings, St. Olaf College. Worshiping with Children, Proper 19, Including children in the congregation's worship, using the Revised Common Lectionary, Carolyn C. Brown, 2016. "Storypath Lectionary Links: Connecting Children's Literature with our Faith Story," 2016. 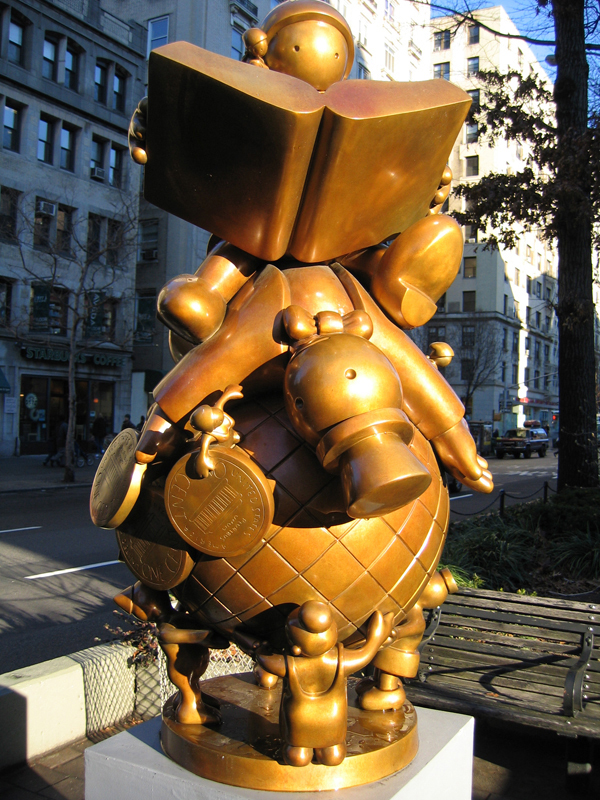 "Making a Little Difference," On the Chancel Steps, children's resources by Frances Woodruff, 2013. "Novelty Glasses," video, John Stevens, Dollar Store Children's Sermons, 2013. Dylan's Lectionary Blog, Children's Homily, Proper 20C. Biblical Scholar Sarah Dylan Breuer looks at readings for the coming Sunday in the lectionary of the Episcopal Church. Lectionary Puzzles, Proper 20/Ordinary 25. Word search puzzles in RTF or plain text, by Reg McMillan, St.Stephen's Presbyterian Church, Peterborough, Ontario.